Super thick tape for super-heavy packages. 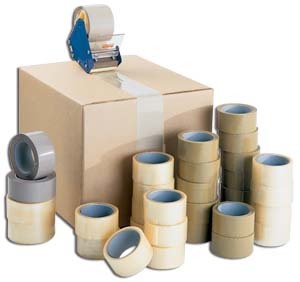 Tough and thick 2.3 mil poly tape provides extra insurance against damage or breakage. Grips boxes like steel for worry-free shipping. Applies easily and quickly with hand-held dispenser. Resists chemicals, moisture and oil. Stands up to temperature extremes. Meets all postal and O.S.H.A. regulations. Meets Fed. specs. PPP-T-70, A-A-1684-A. FOB Shipping Point.